Whisk eggs, green onions, pepperoni slices, wilted spinach and garlic powder together in a bowl. Heat butter in a non-stick skillet over low heat; add egg mixture, cover skillet, and cook until eggs are set, 10 to 15 minutes. 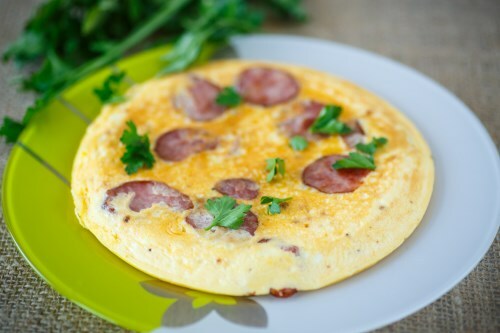 Sprinkle Romano cheese over eggs and season with salt and pepper.